Here's the thing. I have a sewing machine. Have had for 3 years, but have I used it? Not really. It had been sitting in it's little home collecting dust until I was handed some denim from Angela of HKMC and asked to do something with it for a February class. We both thought mini album and I immediately decided to lug out the machine and do some sewing. As the album was for class, I needed to keep the sewing to a minimum so that everyone could get their albums done within the time period. 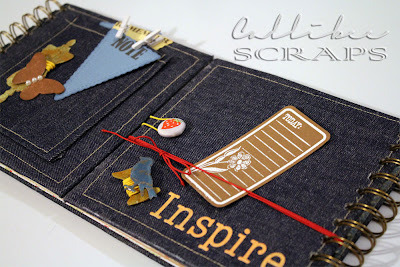 With the denim, I was also given several sheets of Basic Grey's Piccadilly collection papers and stickers and stamps to embellish the project and also got to play with the Cinch binder system. Now, that is fun. I glued the sewn denim to cut pieces of chipboard to make the covers before lining the inside with Basic Grey papers. I then die-cut and altered some embellishments for the cover. I stamped some extra circles note paper as well as using the rest of the patterned papers to make some folded pockets to go in the album. 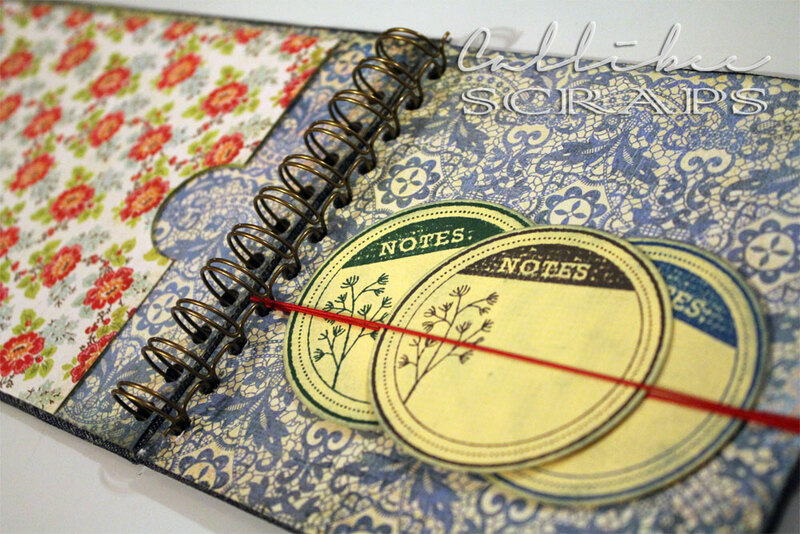 The whole album was Cinched together and finished with sticker letters and elastic ribbon thread. The classes were held on two Thursdays in February and everyone seemed very happy with their take home project. Mine is still on display at the shop but I'm hoping that it can come home soon so I can use it. All products can be found at the HKMC shop.